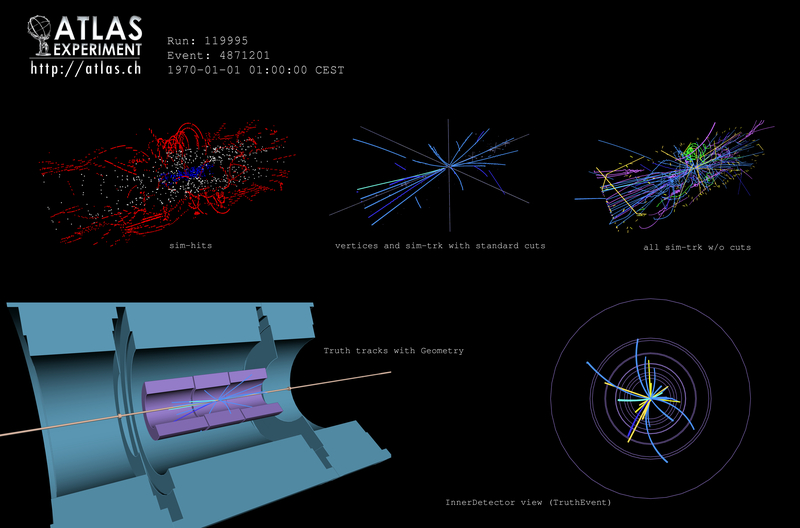 ATLAS@Home is a CERN volunteer computing project that runs simulated ATLAS events. As the project ramps up, the project team is looking for CERN volunteers to test the system before planning a bigger promotion for the public. ATLAS@Home became an official BOINC (Berkeley Open Infrastructure for Network Computing) project in May 2014. After a beta test with SUSY events and Z decays, real production started in the summer with inelastic proton-proton interaction events. Since then, the community has grown remarkably and now includes over 10,000 volunteers spread across five continents. “We’re running the full ATLAS simulation and the resulting output files containing the simulated events are integrated with the experiment standard distributed production,” says Bourdarios. This simulated event display is created using ATLAS data. If you want to join the community and help the ATLAS experiment, you just need to download and run the necessary free software, VirtualBox and BOINC, which are available on NICE. Find out more about the project and how to join on the ATLAS@Home outreach website.